A Look at Air Blast Freezer Design Options! 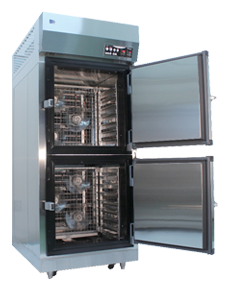 When looking for blast freezer design options that is right for your business, there are various factors that you need to look at before choosing a blast freezer to implement into your operations. Before we go into choosing the right blast freezer for your business, let us first look at what makes a blast freezer. 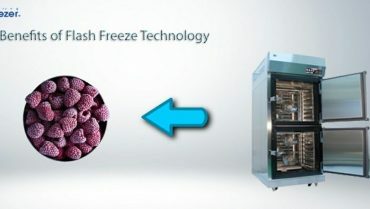 A blast freezer is an air based freezer that uses cold fronts to freeze the contents in rapid speeds. The difference between regular air based freezers and blast freezers is not only the speed in which products are being frozen, but it is also the fact that there are blast freezers that are able to maintain the frozen contents original fresh taste, texture, and moisture. This can be found in all of our blast freezers as part of their feature sets. Within our blast freezer category we have all different kinds of design options available to match your business needs. Let’s look at some of the designs that are currently available to order now. Contact us today to place your order via blue mail toggle and you can even see for yourself how our freezers can benefit your business. 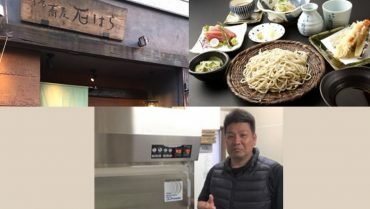 Make a reservation to come and test all of our freezers in our main office in Tokyo, Japan via showroom reservation page in the contact section! Now let’s have a look at a rather popular option of our blast freezer design, our slim blast freezer model for those that are just starting their business. When looking for a blast freezer, sometimes you just need a freezer to test and see if it the right freezer for your business. The first type of freezers that the most common are regular sized freezers that are fixed, yet work well and still are able to increase production speed while still maintaining the original freshness, taste, and texture. You will be able to get the same features as you would get in a bigger blast freezer design options like, spiral freezer, or tunnel freezers and you will be able to maintain your products high quality while not needing a big production nor a huge inventory. 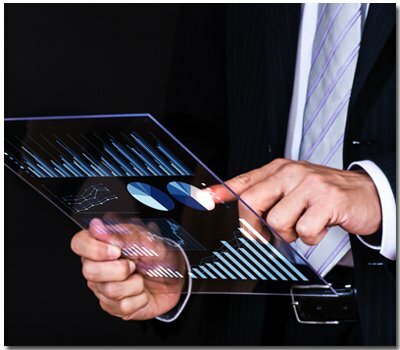 Quality is more important than quantity, rather then trying to increase production while cutting corners, maintaining your high quality after freezing or storage, will grow your customer base more in the long term. 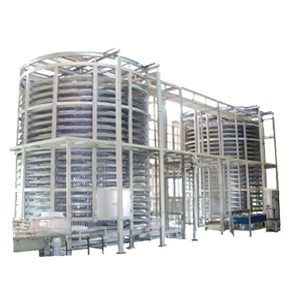 All of our blast freezer design options are able to run continuously, non-stop without any breaks. The only time that the freezers will not be working will be when moving contents outside and inside the freezers. Next, let’s look at spiral freezers and how they would be a great design option with companies that have continuous growing demand for increase in their products production. 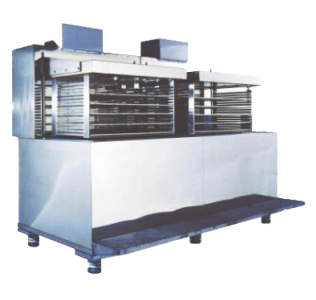 One of the blast freezer design options that is available and is increasing in demand for business professionals are the spiral blast freezers. 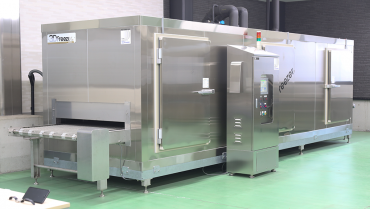 These specifically compact, yet large production based freezers are designed for those business professionals that need a large scale freezing production line, but have a limited space, choosing a spiral blast freezer design would be the perfect option. 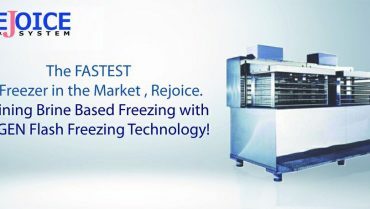 Spiral blast freezers give business owners the options in how they want to manage their frozen food inventory. Spiral freezers are customizable to fit in terms of size, but capacity of the spiral freezer can also be customized. 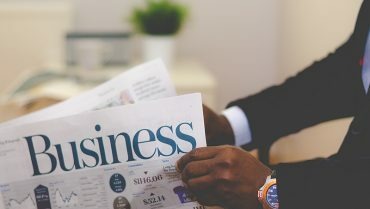 This is a very important point as freezing capacity is an important factor for any business professional that is looking for a blast freezer that has the capacity you need in order to grow your business and handle increase in production size or increase in orders in any particular time. Another great blast freezer design option that is very common in the frozen food market are the tunnel blast freezers that are made by various manufacturers from all around the world. The tunnel based blast freezer design is specifically made for business professionals that have been selling their products in the frozen food market or business professionals that want to just increase their production and need to start freeze storage in a fast and efficient way. That is where the tunnel blast freezer comes in. With a tunnel based freezers you will not only be able to increase your freezing capabilities in your company, you will also be able to continuously freeze your products all day long. This aspect of our tunnel freezer will give you the ability to run operations on a continuous cycle, whether that’ll be an 8 hour operation or a 24 hour operation process, our freezers can meet all of your company needs. Which Blast Freezer Option is Best for you? Depending on the type of products that your business is producing, the type of blast freezer design that you will need for your business will all depend on which type of freezer will freeze your products in a fast and efficient rate. 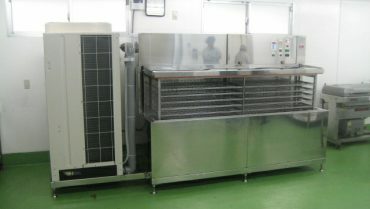 If you are a growing business that has enough space and the products you want to freeze are relatively small or are all the same size and you are planning continuous freezing for a long period of time, then in that case we suggest you either look at the tunnel freezer or spiral freezer options. If space is not an issue, then we believe the tunnel freezer is the best option for you as it has a relatively easy to use design, straight forward installation, and the easiest to accustom freezing to any products at a continuous rate. If you are looking for a freezer with a little bit more flexibility in terms of where you can install the freezer and you want to freeze large type products and you care more about the ability to size customize the freezer, then may I suggest a spiral freezer for your business. 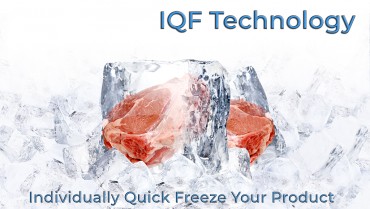 If you are just starting a new business and just need to start off production and you do not have a specific number of products being made or you have production flux, like many new business owners do, and just need to make sure to be able to flash freeze products and make sure that the products that you froze maintain their original freshness, flavor, and texture even after freezing storage, then we recommend our slim blast freezer models which are compact, but have all the features of our other freezers that we have to offer. All the features in a compact blast freezer! Tunnel Freezer:Is it right for your business?